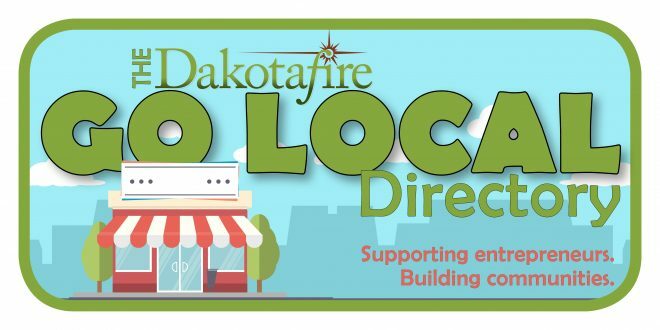 Dakotafire Media is gearing up to put together the 2017 Dakotafire Go Local Directory. 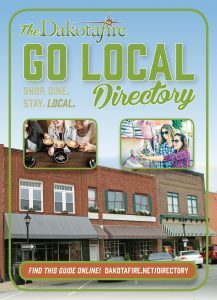 The Go Local Directory got a good start in 2016, and we want to build on that. It’s a project that fits into Dakotafire Media’s mission: Sparking a revival in the Dakotas and beyond by encouraging conversations that help people rethink what’s happening and reimagine what’s possible. We want to help community-minded consumers find and connect with the local shops they would love to support. And we want to help small-business owners help one another—when business owners cross promote, they all do better. That’s part of “reimagining what’s possible”: How amazing could our communities be if we all helped to make sure our small businesses are thriving? The print publication will be distributed in early May. The online version is updated continuously as new advertisers sign on, but a new and improved online version, with category listings as well as listings by location, will be up and running about that same time. New this year in the print product is a category section with guides for finding awesome businesses in shoppers’ preferred categories, as well as a coupon section. We’re also putting together an enhanced presence on Facebook. We’ll feature one business each week on the directory’s new Facebook page. The deadline for advertising in the 2017 print version is March 31. See this page for more information. If you’re ready to sign up for a directory listing, you can do so here.